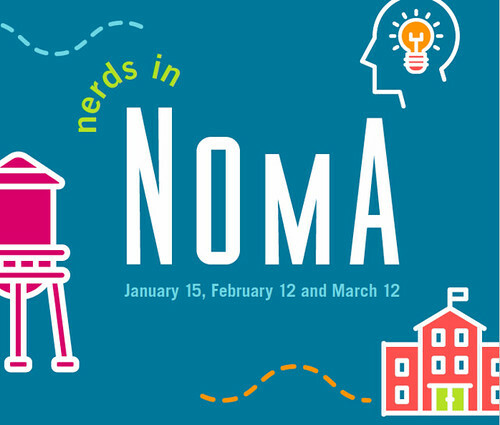 NoMa BID's popular (and free) lecture series Nerds in NoMa is back with more opportunities to feed your brain. Go ahead and reserve your spot if any of these topics grab your interest. The reservations can fill up quickly. It's worth noting that the soon to open Stellina Pizzeria (399 Morse St. NE) is a sponsor. Description: NoMa has many assets and amenities, but did you know that excellent public schools with diverse approaches to K-8 education are located here? With curricula that focus on character-building, expeditionary learning, sustainability and environmental stewardship, college prep, and bilingual education, each institution has found success in its mission. Join us on January 15 to enjoy beverages and light bites from Stellina Pizzeria as you hear from educators how they help students grow and succeed at every level. Description: D.C. prides itself on being a city of inclusion and equality, and businesses here are constantly adapting to meet employees’ and customers’ needs. We'll talk with some that are adapting “deaf space” design practices, including Starbuck’s first U.S. signing store and Streetcar 82 Brewing Co., the District’s first deaf-owned brewery. Enjoy beverages and light bites from Stellina Pizzeria as you learn simple ways spaces can be more accommodating, the difficulties of starting a deaf-run business, and some of the city’s plans to aid in the growing “deaf space” revolution. Description: Telling stories through narrative illustrations and words is a centuries-old art that continues to thrive everywhere — including D.C., where there are a number of comic art practitioners. Some do it only as a private passion, while others manage to get paid for their creative endeavors. We'll dive into the local scene to learn what motivates artists, how they find ways to make money, and where the industry is headed. Totally non-tangential, but do you know wth is going on with the intersection at Mt. Olivet road and Bladensburg? There's been construction there for..... forever. Yeah, I'd also love to know the answer to that one.